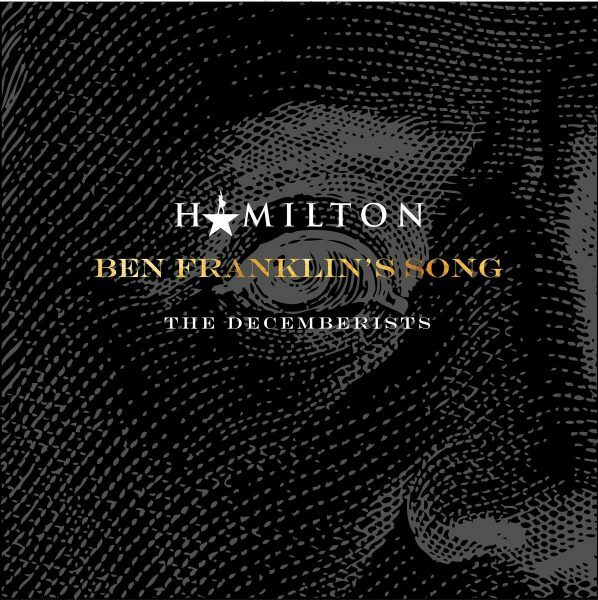 For the insatiable fans of Hamilton and The Decemberists (and they are legion), Lin-Manuel Miranda and The Decemberists have today announced The Decemberists’ opening salvo, Ben Franklin’s Song, for The Hamildrops. The Hamildrops will consist of new Hamilton content being released every month from now until December 2018. “Well, it happens that Mr. [Lin-Manuel] Miranda reached out to our own Colin Meloy to put music to a set of lyrics that had been written for HAMILTON but had never been used: a first-person introduction to one of the US’s founding fathers, Mr. Benjamin Franklin. Lin said that he’d wanted to include Franklin as a character in the show initially, but it just never quite worked — something about not wanting to remove the audience more than once from the action taking place in our nascent United States. Funnily enough, he said he’d imagined Franklin singing in a sort of Decemberist-y way, whatever that means. FAST FORWARD TO 2016: Lin passed on the lyrics to Colin, who was very much up to the task, and a new song was born: BEN FRANKLIN’S SONG, to be exact. We really like it. It’s very swear-y, but there’s a clean version too. We hope you like it. It was a lot of fun to write and record. If you’re a HAMILTON fan, we hope it will add a new dimension to the world of the show for you — but you can also just enjoy it as a history lesson. Franklin invented bifocals, you know. And the glass harmonica. WHAT A F***ING GUY. Listen below (to the “clean” version) on Spotify or pick your poison HERE. 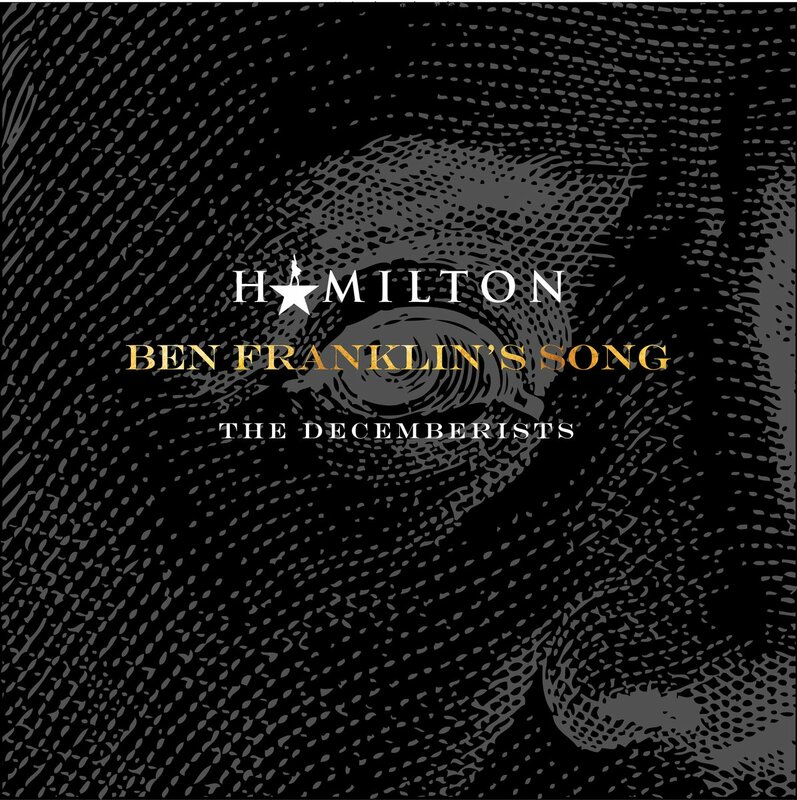 Once again, The Decemberists have acquitted themselves beautifully with Ben Franklin’s Song. The melody and playing are quintessential Decemberists. Miranda’s intelligent, oft-hilarious lyrics are at bottom. And do you know who the f I am? Yeah, do you know who the f I am? Do you know who the f I am? (Do you know who the f I am?) Who the f I am? 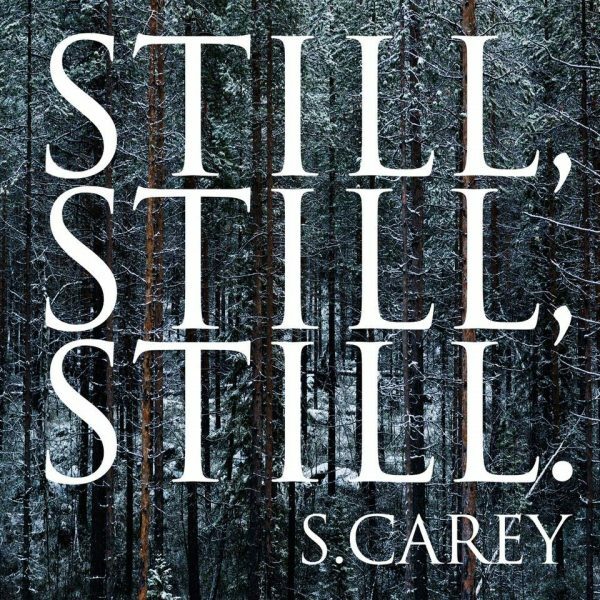 Bon Iver’s uber-talented S. Carey has provided calming musical balm for the senses over the last few months. Last month Carey provided the guiltlessly-gilded song Fools Gold, from his impending new album Hundred Acres. Before that Carey provided the beguilingly-beautiful song Brassy Sun. 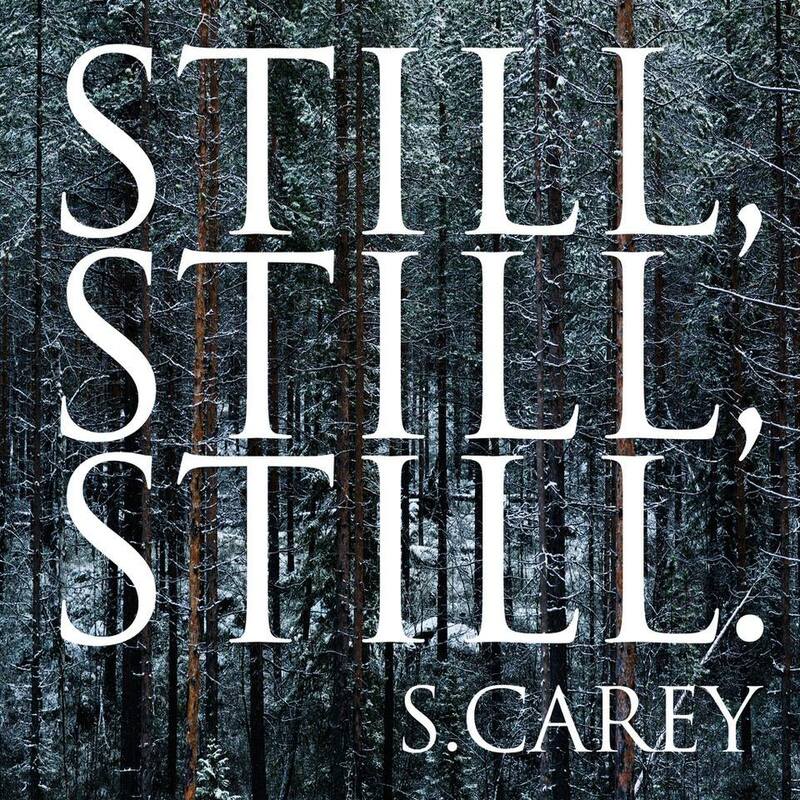 Now comes Carey to provide the heavenly harmonies of holiday song Still, Still, Still. Enjoy this beauty below. And give thanks for guardian angels. While we’ve been preoccupied with wildfires and smoke-avoidance, The National released a romance-dance video for their Dark Side of the Gym love song. NYC Ballet Resident Choreographer Justin Peck directed, choreographed and is featured in the video, together with Patricia Delgado. In the interim the band also showed up on Ellen to perform their great song Day I Die. Check out both below. The National continues out on tour in support of their Best Album of 2017 contender Sleep Well Beast. 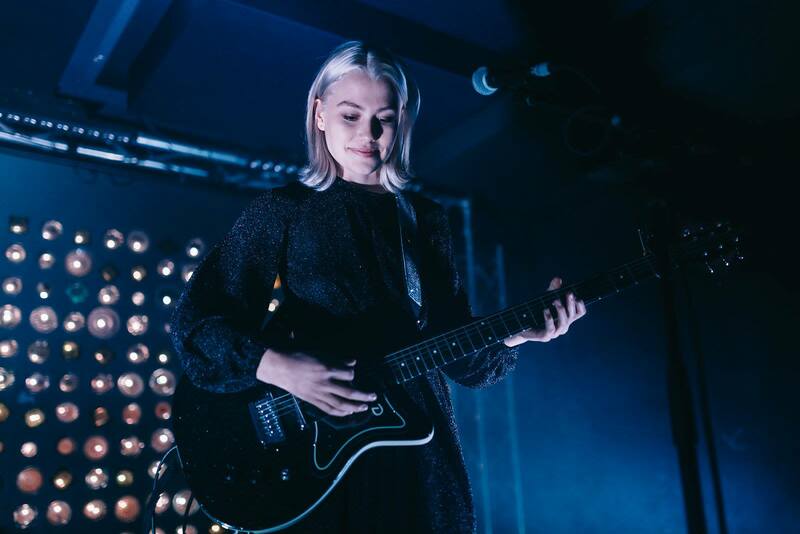 In a year brimming with bright musical birthings, Phoebe Bridgers keeps brandishing briefs on her behalf for the top berth. First came Smoke Signals, and then came Motion Sickness. Then she regaled with a stellar Tiny Desk Concert. Now comes another superb song from her debut album, Stranger In The Alps. Check out the new song Would You Rather features fire-centric lyrics apropos for recent days in California (“Playing would you rather, when it comes to fire…the cop suggested you’re the one who tried to burn it down”). Check out the song below in video context. Both feature the distinctive and talented Conor Oberst. Bridgers’ ever-worthwhile lyrics are at bottom. “I’ve been trying to write a Tonya Harding song since I first saw her skate at the U.S. Figure Skating Championships in 1991. She’s a complicated subject for a song partly because the hard facts of her life are so strange, disputable, heroic, unprecedented, and indelibly American. She was one of the greatest figure skaters of her time, and the first American woman to perform a triple axle in an international competition. She was an unlikely skating star, having been raised working class in Portland, Oregon. Being a poor outsider, her rise to fame in the skating rink was seen, by some, as a blemish on a sport that favored sophistication and style. Tonya’s skating technique was feisty, fierce, and full of athleticism, and her flamboyant outfits were often handmade by her mother (who was abusive and overbearing). (They couldn’t afford Vera Wang.) And then there was the Nancy Kerrigan incident. In January 1994, Tonya’s then-boyfriend Jeff Gillooly hired an assailant, Shane Stant, to break fellow figure skater Nancy Kerrigan’s leg at the U.S. Figure Skating Championships at Cobo Arena in Detroit, so that she would be unable to compete at the upcoming Winter Olympics. The aftermath of the attack was recorded on camera and ultimately set off a media frenzy (and an FBI investigation). Gillooly and Stan were eventually found guilty, and Tonya pleaded guilty to hindering the prosecution, and was subsequently banned for life from the U.S. Figure Skating Association. Nancy Kerrigan recovered from her injury and won a silver medal at the Winter Olympics. Tonya Harding finished eighth. Tonya Harding’s dramatic rise and fall was fiercely followed by the media, and she very quickly became the brunt of jokes, the subject of tabloid headlines and public outcry. She was a reality TV star before such a thing even existed. But she was also simply un-categorical: American’s sweetheart with a dark twist. But I believe this is what made her so interesting, and a true American hero. In the face of outrage and defeat, Tonya bolstered shameless resolve and succeeded again and again with all manners of re-invention and self-determination. Tonya shines bright in the pantheon of American history simply because she never stopped trying her hardest. She fought classism, sexism, physical abuse, and public rebuke to become an incomparable American legend. As you will hear below, the song is the usual well-crafted, well-arranged, well-produced and always affecting fare from Stevens. Stevens has recorded two versions of the song in two different keys, and you can listen to them HERE. You can see the lyrics at bottom. Tonya Harding is out now via Asthmatic Kitty. You can get it digitally, or on cassette or vinyl HERE. When it’s this good there’s no need to switch horses. 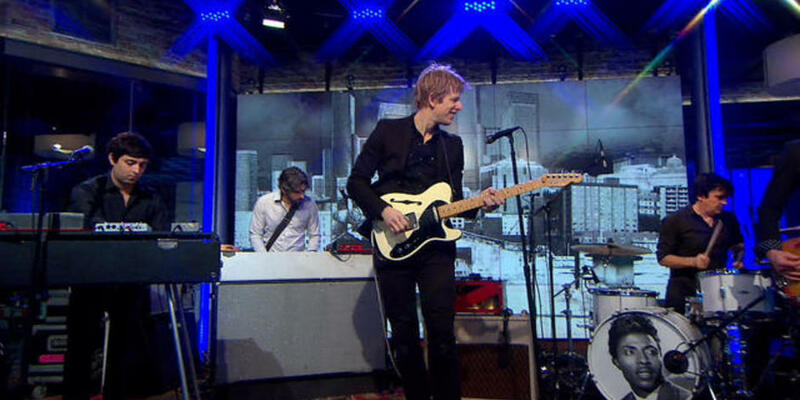 Starting where we left off last week, over the weekend Spoon appeared on CBS This Morning and Town Hall (the old Prairie Home Companion, sadly renamed). Below first check out the mesmerizing three songs off their Best Albums of 2017 contender Hot Thoughts and a great interview on CBS This Morning. 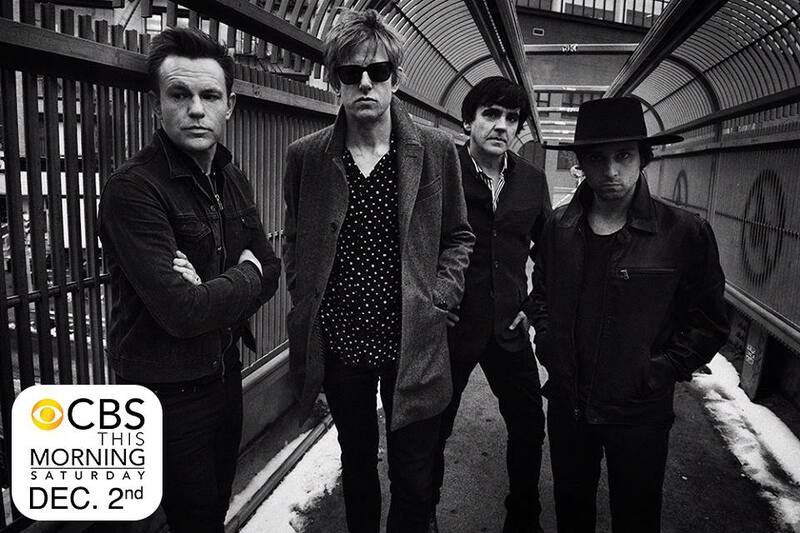 Then go HERE to listen to Spoon perform and be interviewed at the 50:40 and 1:41 marks. This is a band at the top of their powers and heading ever-higher. Wow! 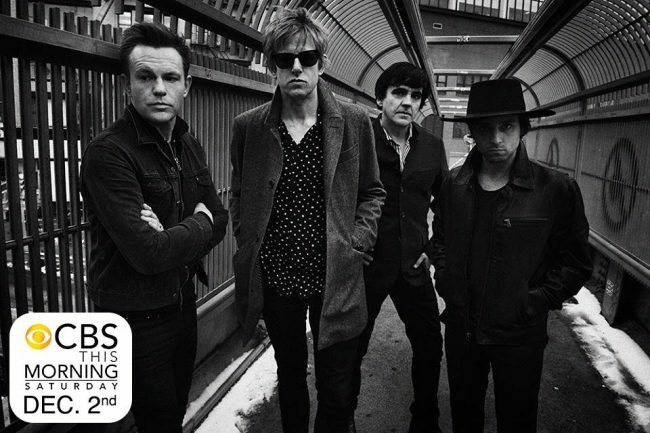 You can catch Spoon live at the Arlington Theater in SB on January 18th. Don’t ya miss it! Get tickets HERE. 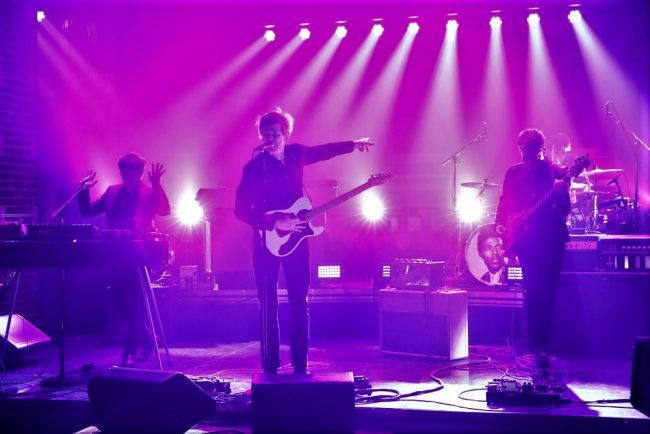 As Spoon continue to make the case for their Hot Thoughts album being one of the Best Albums of 2017 and their being one of the best live bands alive, the band appeared on The Tonight Show this week and blazed through a riveting performance of their great song Do I Have To Talk You Into It off the album. To add to their welcome assault on the senses, Spoon will appear tomorrow morning on CBS This Morning and will appear on an upcoming Prairie Home Companion (or whatever they’re going to call it in a post-Keillor era). Check out their raving performance below in which Britt Daniels shows once again why he is and has been (only for 20+ years) THE quintessential rock n’ roll scion of his generation. Daniels proves it all damn night every dang time he sets foot on stage. Bravo! Spoon is coming to the Arlington Theater in Santa Barbara on January 18th. Don’t ya miss it! Tickets can still be had HERE.